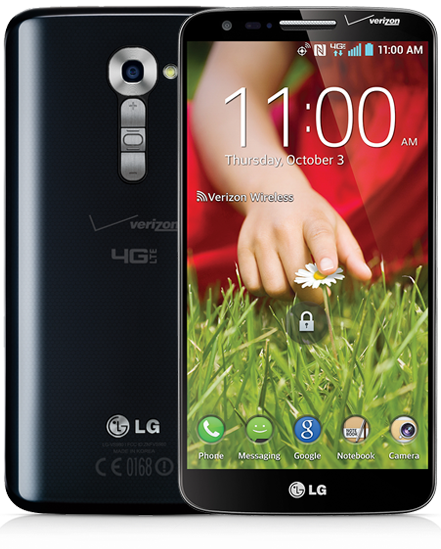 Looks like a preponderance of carrier logos won't be the only unique thing about Verizon Wireless' LG G2. According to the operator's pre-registration page, it'll include "exclusive wireless charging" in addition to all that juicy Verizon branding. Presumably this means if you pick up a G2 on AT&T, T-Mobile or Sprint you'll have to charge with a microUSB cable like a Neanderthal. There's no information on which wireless standard will be used on the Verizon G2, but the last few LG phones to support this feature (the Optimus G, Nexus 4 and certain versions of the G Pro) have all used the Qi standard. It's also not the first time Verizon has nabbed exclusive wireless charging on a major handset — last year it scooped the feature for its HTC 8X, leaving AT&T 8X owners charging the old-fashioned way.